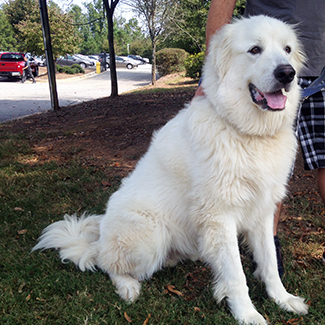 Hey, my name is Chase and I am 2 years old Pyr. 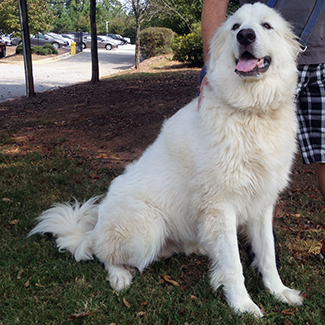 I am a SUPER sweet big boy weighing in around 120 pounds and according to everyone who has met me, I am a charmer. I was one of the lucky ones to get a foster home right away and I am happy to report that I have been on my best behavior too. I am very relaxed and get along great with my furry foster siblings. 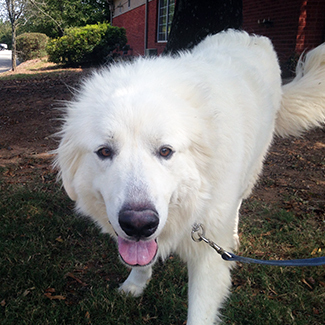 I am great on the leash and cannot wait to take long walks with my family now that this weather is getting cooler. I look forward to finding my new home and hope that the day will come that I have a family to call my own. 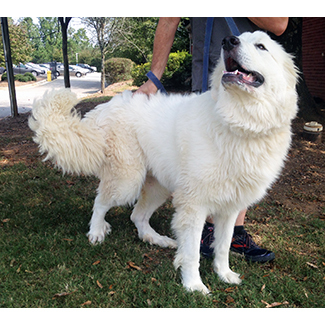 Contact GPRA today to find out more about me at info@greatpyratlanta.com.